In an ideal world, the easiest choice would be the healthiest choice but, over recent decades, physical activity rates have been declining due to modern forms of transport and changing habits. 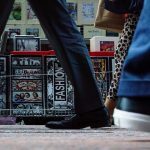 Walking is the most convenient, free and most broadly accessible forms of physical activity for people of all ages, but still many of us aren’t aware of the benefits regular walking holds – despite ‘awareness-raising’ efforts such as World Physical Activity Day on the 6th of April or the UK’s National Walking Month, held in May. Much more information can be found in a paper by C3 Collaborating for Health, summarising the positive impact that walking can have on your physical health, mental health and the environment. Regular walking can reduce high rates of non-communicable diseases, including type 2 diabetes and cardiovascular disease. It has proven to increases fitness levels, lower coronary heart disease risk and lower blood pressure. Walking can also help to reduce weight gain – slow walking burns 114 calories per mile for someone weighing 200lb (91kg). While the usual recommendation for physical activity for adults is 30 minutes at least five times a week, the health benefits of brisk walking begin to be seen at levels well below this level. For example, a recent study of 400,000 people found that just 15 minutes a day of moderate exercise (which includes brisk walking) can have significant health benefits, adding up to three years to life expectancy. Every additional 15 minutes of daily exercise reduced all‐cause death rates by a further 4 per cent. Recent findings indicate that walking can reduce symptoms of anxiety and depression and increase self-reported energy levels. It is also associated with improved sleep quality and better cognitive performances (such as thinking, understanding and remembering). The biggest psychological health benefit has been found in social context with the outdoor environment: a green space can motivate people to be more physically active and engage more with nature and each other. Environmental benefits are also important, as lower car or bus use leads to lower carbon emissions and air pollution, as well as reducing the risk of accidents and lower noise pollution, all of which can themselves have significant benefits for health. But there are still many barriers to walking. Many people lack the time to walk to work or their environment feels unsafe or unattractive. Older people or people with disabilities may even find it more difficult to be physically active due to the structure of their environment – for example, steps, narrow pavements and lack of places to sit down or go to the toilet. We must address these needs to increase walking rates again among all ages and all abilities. Walking has a positive impact on many aspects of life – beginning with just a few steps and building up, it opens various doors to new possibilities. It really is a ‘gateway’ to physical activity, with all the health benefits this entails. Sarah is the monitoring and evaluation officer at C3 Collaborating for Health.